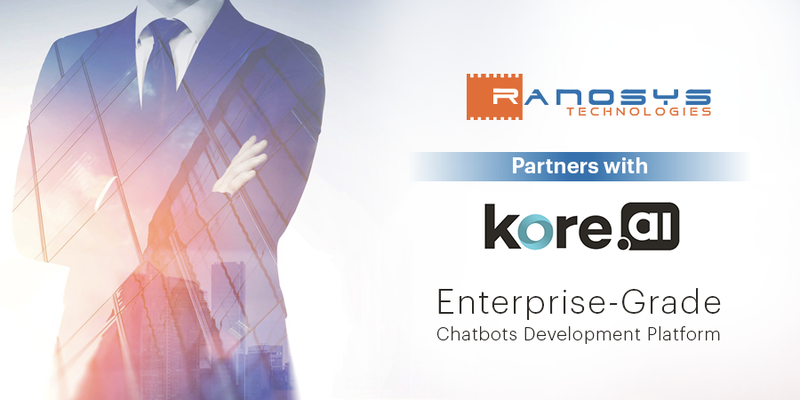 Ranosys is glad to announce its partnership with Kore.ai – a platform for developing and deploying chatbots at the enterprise level. Kore offers a variety of bots that can be deployed on various channels like websites, mobile apps, email, SMS, and messaging services (Facebook Messenger, Slack, etc.). This AI-based chat platform leverages Machine Learning, Artificial Intelligence, and Natural Language Processing (NLP) to facilitate intelligent communication between things, systems, and people. Ranosys strives to remain at the forefront of technological advancements and add value to global clients. The partnership with Kore.ai will enable Ranosys to offer an AI-powered virtual assistant to its clients to automate their interaction with customers, resolve their queries in real-time, and increase customer loyalty and retention by engaging in meaningful conversations. 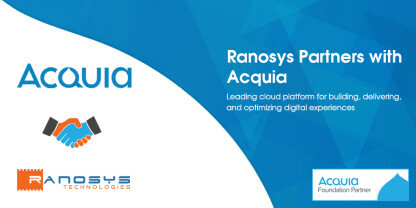 Ranosys, a renowned software development company and proponent of digital transformation, is headquartered in Singapore with offices in the UK (London) and the USA (California). With 250+ employees and comprehensive knowledge of AI and Machine Learning, Ranosys aims to automate the business processes of clients. We provide top-notch chatbot solutions for various domains such as Retail and eCommerce, Healthcare, Fintech, among others. 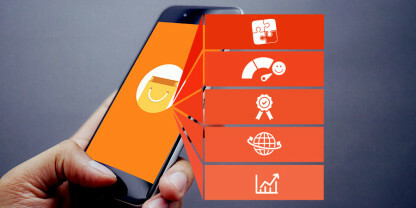 Our other areas of expertise include enterprise application development, eCommerce solutions, enterprise mobility services, and quality assurance services.